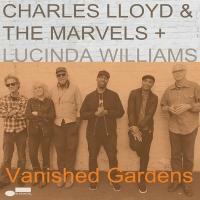 Titre(s) Vanished gardens [Enregistrement sonore] / Charles Lloyd ; Lucinda Williams, Marvels (The). Contient Defiant. - Dust. - Vanished gardens. - Ventura. - Ballad of the sad young men. - We've come too far to turn around. - Blues for Langston and LaRue. - Unsuffer me. - Monk's mood. - Angel. Notes Texte de présentation en anglais. - Textes des chansons.